This summer is turning out to be a real scorcher, with the formation of a “heat dome” bringing some of the hottest weather so far this year to large swaths of U.S. territory this week. Many consider a heat wave to be just a time to put an extra ice cube in the lemonade, but it’s a deadly natural disaster. More people die in heat waves in the U.S. than just about any recent weather event short of hurricane Katrina. A recent heat wave in the Southwest and West caused temperatures to reach 124 degrees Fahrenheit in Palms Springs, California and 115 degrees in Tucson, Arizona. The highest temperature on Earth ever recorded was 134 degrees in Death Valley, California in 1913. Heat waves causing large numbers of deaths have been common in recent years. In 2015, thousands died in a major heat wave in India and Pakistan. Tens of thousands died in a European heat wave in 2003. 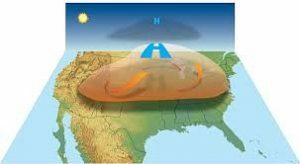 This week’s “heat dome” is caused by hot air unable to escape due to high pressure systems over much of the central part of the country. These systems act like a lid on a pot, causing temperatures to soar. Storms may form at the edges, possibly leading to tornadoes in some areas. Making matters worse, the heat index will make it feel even hotter. The heat index is calculated from the temperature combined with the humidity, much like wind chill is a combination of air temperature and wind speed. High humidity limits the ability of the body to sweat, one of the important ways humans get rid of excess heat. It is expected that, due to the heat index, residents will feel as if the temperature is 10 to 20 degrees higher than what the actual air temperature is. Where is this humidity coming from? 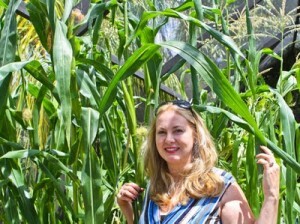 It could be coming from, of all things, cornfields. The huge amount of land dedicated to growing corn in the Midwest increases air humidity. This is because corn “sweats” much like a human does in hot weather. This humidity will have the effect of increasing the heat index. Rural areas won’t be the only areas affected. Urban areas will also feel the heat. Paved roads and concrete buildings absorb more heat and cool down slower at night. This causes nighttime temperatures to stay high. 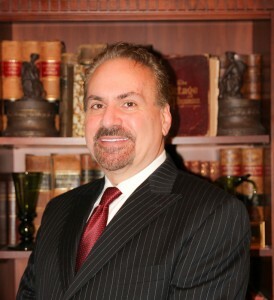 You might think that the most danger will be in areas like South Florida, which has a subtropical climate year-round. But citizens of Miami are accustomed to heat, and less heat-related deaths occur there than would in parts of the country that normally have milder weather. Residents of Minnesota, for example, have less experience with extreme heat and some buildings may not have air conditioners. This puts them at more risk for hyperthermia (heat-related emergencies). Older individuals that might have limited ability to seek help are especially at risk. 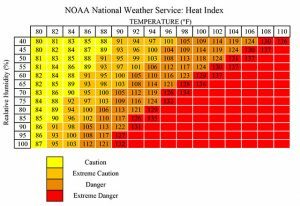 The ill effects due to overheating are called “heat exhaustion” if mild to moderate; if severe, these effects are referred to as “heat stroke”. Heat exhaustion usually does not result in permanent damage, but heat stroke does; indeed, it can permanently disable or even kill its victim. It is a medical emergency that must be diagnosed and treated promptly. 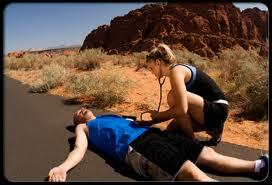 Simply having muscle cramps or a fainting spell does not necessarily signify a major heat-related medical event. You will see “heat cramps” often in children that have been running around on a hot day. Getting them out of the sun, massaging the affected muscles, and providing hydration will usually resolve the problem. If no action is taken to cool the victim, heat stroke may ensue. Heat stroke, in addition to all the possible signs and symptoms of heat exhaustion, will manifest as loss of consciousness, seizures or even bleeding (seen in the urine or vomit). Breathing becomes rapid and shallow. If not dealt with quickly, shock and organ malfunction may ensue, possibly leading to death. 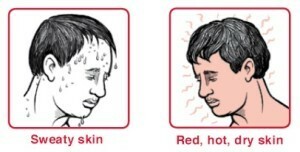 In heat stroke, the skin is hot to the touch, but dry; sweating might be absent. The body makes efforts to cool itself down until it hits a temperature of about 105 degrees. At that point, thermoregulation breaks down and the body’s ability to use sweating as a natural temperature regulator fails. In heat stroke, the body core can rise to 110 degrees Fahrenheit or more. In some circumstances, the patient’s skin may actually seem cool. It is important to realize that it is the body core temperature that is elevated. A person in shock may feel “cold and clammy” to the touch. You could be misled by this finding, but taking a reading with a thermometer will reveal the patient’s true status. Be removed from the heat source (for example, out of the sun). Why the neck, armpit and groin? Major blood vessels pass close to the skin in these areas, and cold packs will more efficiently cool the body core. Oral rehydration is useful to replace fluids lost, but only if the patient is awake and alert. If your patient has altered mental status, he or she might “swallow” the fluid into their airways; this causes damage to the lungs and puts you in worse shape than when you started. Drink at least 2 liters (about a half-gallon) of water per day if you are mostly indoors and 1 to 2 additional liters for every hour of outdoor time. Drink before you feel thirsty, and avoid alcohol and caffeine. Wear lightweight, light-colored clothing and use a sun hat or an umbrella to deflect the sun’s rays. Eat smaller, more frequent meals instead of large ones. Take regular breaks if you must exert yourself on warm days. In a heat wave, it’s important to check on the elderly, the very young, and the infirm regularly and often. These people have more difficulty seeking help, and you might just save a life if you’re vigilant. 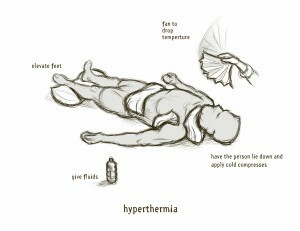 Know the warning signs and how to help those with hyperthermia.